I ordered two of their SuperShock eyeshadows, in La La and Fringe, as well as two of their new Creme Gel Eyeliner pots, in Zulu and Get Paid. Plus, you get $5 off on your first order if you sign up to their mailing list, which basically equates to a free item. The packaging is delightful. Mostly white, the underside is decorated with this shattered-glass style embellishment, and the lettering on the boxes is in metallic iridescent lettering. Every package also comes with a handwritten personalized thank-you note from the company. The eyeshadows have a very unique formula. 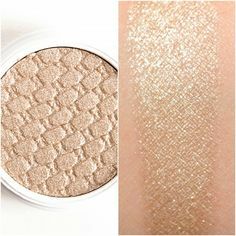 Almost spongey in texture, they combine soft application with pigmentation that is to die for. Plus, they're long-lasting and only $5 each! Fringe is a fairly standard looking shade in the packaging, but it's a great everyday shimmery champagne shadow, with the perfect amount of pigmentation. La La, while not being as truely Rose Gold as I was hoping (it leans more coppery than pinky and slightly darker) is still a great shade and pairs well with a matte brown in the crease for an effortless date night look. The eyeliners are also fantastically pigmented, boasting a great range of unique colours, and two packing options (a gel pencil is also offered). I chose Get Paid since I'm a massive Rose Gold fan, and there aren't enough good rose gold products on the market. Get Paid is such a beautiful shade, and works especial well with blue eyes. It's glitzy enough to add some sparkle, but subtle enough to were on the daily. Zulu, a blue-toned mint green, is slightly more adventurous but nonetheless still beautiful. This would look killer on darker skin tones, and will definitely be a must-tav during the summer months. I was slightly hoping it'd lean more white and green than blue. As you can see below, it looks way more green-toned in the website picture, but it's still a beautiful color and applies smoothly and easily. Sometimes when I'm feeling brave I'll do a mint cat-eye paired with a mid-toned brown shadow in the crease. While La La and Get Paid are similar in the pot, on the eye Get Paid is a fair bit darker and more orange-toned, while La La is slightly lighter, as can be seen above. If you're a fan of Rose Gold makeup, ColourPop also has another rose gold eyeshadow called Amaze and also boasts several similar liners and eyeshades, too. The Creme Gel eyeliners come in 24 shades, from a bright white to a baby pink to a sunshine yellow, You'll be bound to fine your perfect 'out-there' shade, and they're only $6! 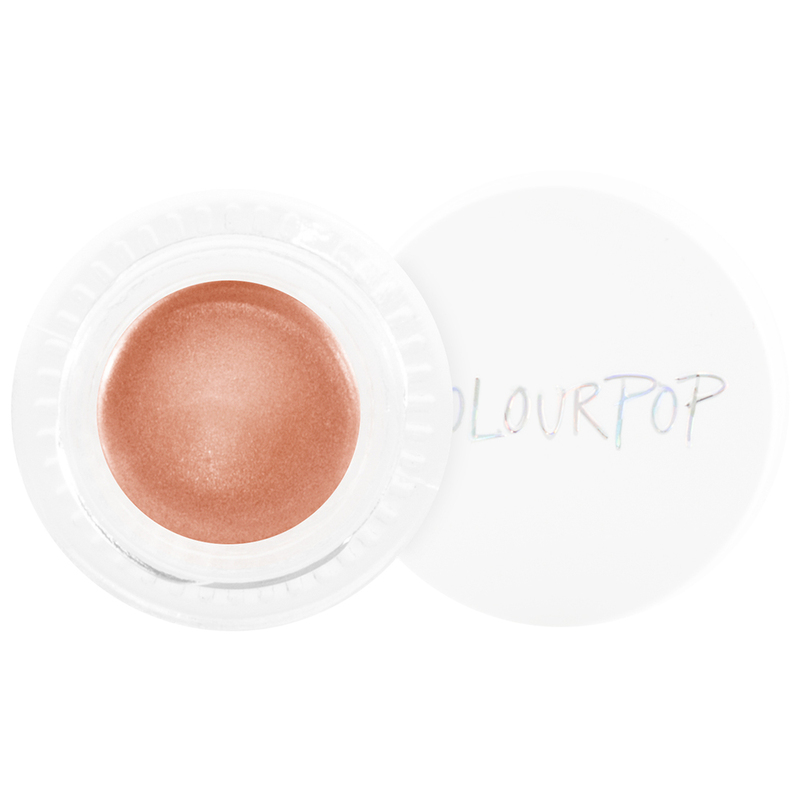 If you're into fun yet wearable makeup on a budget, ColourPop is a must-know brand. Check them out here and inject some colour into your life! Have you ever tried ColourPop? Let us know in the comments below! Caitlin is a first year Linguistics major from London, UK. She specialises in beauty news and reviews, and eating way too many red bean buns.